BRYAN EATON/Staff Photo. 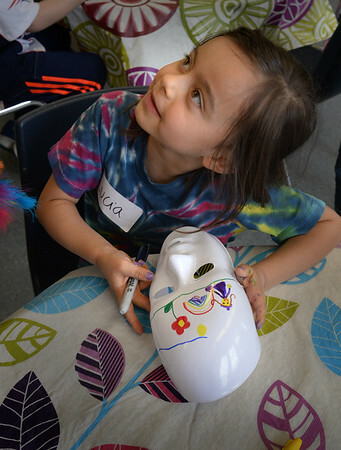 Lucia Ramirez, 5, asks instructor Terry Bridgwood to look at her Picasso mask which she titled "Mom on a Trip." She was at Little Aces at the Newburyport Recreation Center where the children were read a book on Picasso and they were going to learn about other artists as well.